Close your eyes and picture a lovely young mother-to-be getting a bit of healthy summer sun by sitting at the beach. She gently rubs on sunscreen, unaware that she is triggering future health problems in her yet unborn son. Do ingredients in sunscreen actually prevent skin damage? Most people who go outside with sunscreen and don’t get sunburned often think their skin was sufficiently protected. They likely think that their sunscreen is giving them more protection so they stay out even longer. But do the ingredients in sunscreen really deliver what it promised? Read and find out what your favorite sunscreen contains and how certain sunscreen ingredients affect your system. Sunscreen, also commonly called sunblock, sun cream or sunburn cream, is a chemical agent in the form of spray, lotion, cream or other topical product that protects the skin from harmful UV exposure, or that is what they want you to believe. What is SPF? SPF (Sun Protection Factor) is a measure of a sunscreen product’s ability to prevent UV radiation from causing skin damage. For decades, sunscreen manufacturers have insisted that the use of sunscreen will protect your health and help prevent the development of cancer, despite the lack of sufficient safety testing of different sunscreen ingredients. But many experts studying cancer have been led to a contradicting conclusion: that the use of sunscreens may even increase the risk of cancer, and sun exposure may reduce human cancer rates. Sunscreen ingredients come in two forms – the mineral and the non-mineral/chemical filters. Each ingredient has different uses for protecting the skin and keeping its stability under sunlight. Most sunscreens today contain chemical filters, and often include two or more of these chemical sunscreen ingredients: oxybenzone, octinoxate, retinyl palmitate, homosalate, octocrylene and paraben preservatives. On the other hand, mineral sunscreen ingredients include titanium dioxide and zinc oxide. So, what’s wrong with our sunscreens today? Read this list of sunscreen ingredients below and learn why you need to skip sunscreen products that contain these chemicals. Oxybenzone – is one of the most common sunscreen ingredients, found in almost every chemical sunscreen. This chemical is a penetration enhancer, which means it helps other sunscreen ingredients penetrate the skin. Oxybenzone is identified in breast milk and in a relatively high rate of allergic reactions. Scientists suspect that this chemical disrupts the hormones by acting like oestrogen and altering the production of sperm. It is detected in 97% of Americans, circulating in their bodies, since oxybenzone can be absorbed more quickly than our bodies can eliminate it. 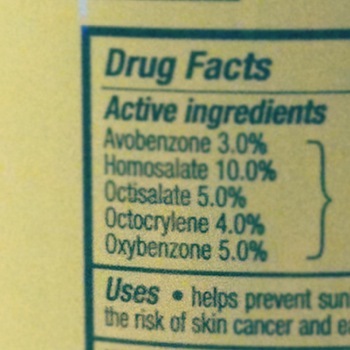 Octinoxate – is another common ingredient found in sunscreens. Octinoxate easily penetrates into your skin. Allergic reactions to this chemical are uncommon, but it does disrupt hormonal balance. The effect of the chemical on oestrogen can be harmful for both humans and animals. While sunscreens are designed to shield the skin from photoaging, octinoxate can actually predispose your skin to premature aging because it produces free radicals that can harm skin cells. Octocrylene– when exposed to UV light, octocrylene absorbs the UV rays, but breaks down to produce radicals that can cause skin damage. It easily penetrates the skin and accumulates within your body. Vitamin A Palmitate (Retinyl Palmitate) –Vitamin A works by improving the sunscreen product’s performance against harmful UV rays. But the Vitamin A added in many sunscreen products, such as retinyl palmitate (a combination of retinol and palmitic acid), can be worrisome. When used at night, it can be an effective anti-aging ingredient, but Retinol breaks down when under UV exposure and creates harmful chemicals that are toxic to skin cells and may even lead to skin cancer. Retinyl palmitate may increase the progress of skin tumours and malignant cells when applied to skin, so avoid sunscreens that uses this stuff. Homosalate – this is a penetration enhancer. Once the sunscreen ingredients have been absorbed, they accumulate in your body faster than you can get rid of them. Paraben preservative – parabens can induce allergic reactions, toxicity and hormone disruption. It turns out that we use so much sunscreen that it now pollutes our waste waters, streams, rivers and lakes. You see, sewerage treatment plants are unable to remove some types of chemicals from our waste waters. In fact, pharmaceutical drugs head the list of contaminants that cannot be removed from our drinking water. No one knows the true accumulative effects of these on our systems. But so far, the research is not comforting. Next in line to other people’s drugs in our water, sunscreen is one of the worst culprits. If you still have your doubts, sunscreens have been measured in the breast milk of over 75% of American women! And once sunscreen gets into a baby boy, it is capable of triggering prostatitis. Prostatitis is so common now that 1 out of 11 men eventually get it regardless of age. Most of the time, no bacteria are found, but if they are, antibiotic treatments often extend for months. The result is that many men get a prostate inflamed by overgrowth of Candida or other yeasts, making them even more chronically flared, with small bladder capacity and painful urinary urgency. Other agents beside prenatal sunscreens are capable of triggering this misery later in life. Plasticisers and even common fungicides for chicken can target the prostate. And it turns out that these chemicals can be responsible for our litany of breast cysts, fibroadenomas and eventually breast cancers as well as prostate cancers. Sunscreens not only target the brain, uterus, and thyroid, but lots of other body parts. And, low doses are more dangerous than high doses. Obviously it is not something you would want to slip, slop, slap your body with, either, as dermal absorption puts it right into your bloodstream like an IV. But look at how often you see a young mother putting it on her kids. And it turns out it is in other products as well, since it is often impregnated into clothing; plus, it is a fragrance and flavour enhancer in other products and used in plastics to inhibit brittleness and ageing. Yes, sunscreens are even in the plastic wrap that surrounds our food. The wrap does double duty leeching plastics and sunscreen into our foods. Sunscreen ingredients are added to the plastic wrapper foods to extend their age, but it ends up in us, shortening our age. Because nearly everyone at the beach wears it, it is washed off into the water. Seemingly, many heavily used sunscreens may increase the rate of cancer due to their free radical producing properties. In fact, in Australia, a recent survey has found that 80% of sunscreens contain sunscreen ingredients reduced to nanoparticles. Nano-particles are relatively new and are not found in nature. They are carcinogenic agents that are easily absorbed by the skin and other membranes of the body. 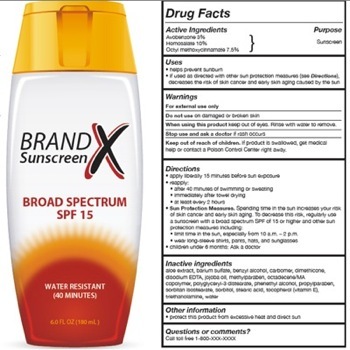 Furthermore, Australia does not require sunscreen manufacturers to include nano-particle sunscreen ingredients in their label. Likewise showering and industrial applications spend so much into our waste waters, the government studies show that 97% of people have detectable levels of sunscreen ingredients in their bodies! It also out gases from plastic sources that surround us at home and work, swaddle our foods, and intoxicate our waters. Will it affect my hormone system? Will the sunscreen ingredients penetrate my skin? Can it cause skin allergies? Can it affect the endocrine and reproductive system? What if it is inhaled? Are there any other toxicity concerns? As one more man–made pollutant that we cannot escape, we just need to get out of our bodies. It wreaks havoc with hormones, brains and many other organs, not to mention our general aging and disease producing chemistry. Doing lifelong detoxification all the time is very important. Your longevity and quality of life depends on it. 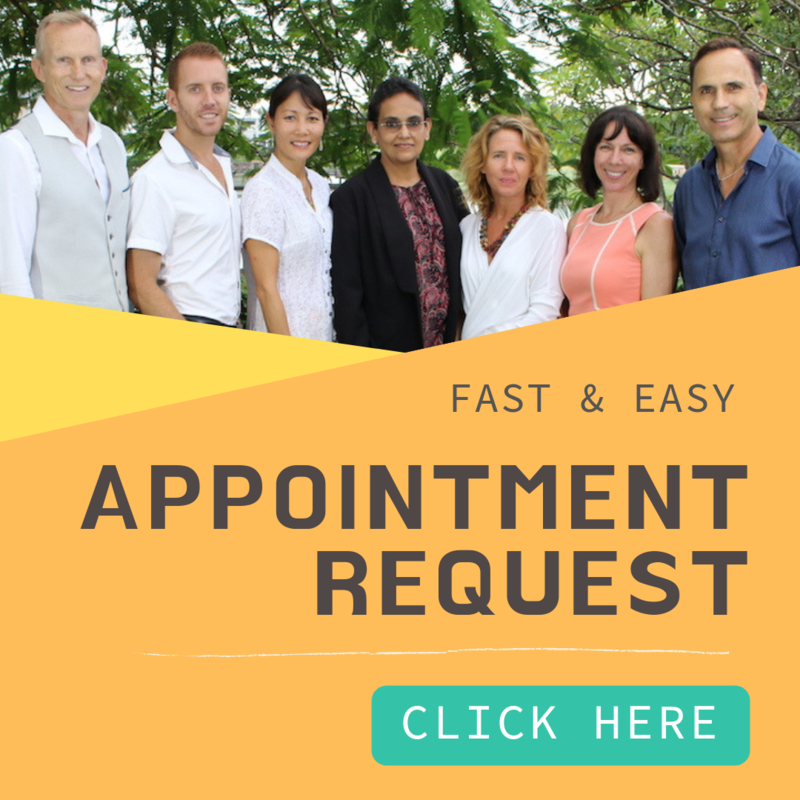 Beyond Good Health Holistic Medical Clinic Brisbane offers Natural Hormonal Balancing Program that takes a holistic perspective in how to balance hormones naturally. You may be using chemical sunscreens in the past that could affect your hormonal state by disrupting your endocrine system. We recommend that you make an appointment with one of our specialized practitioners, because these sunscreen ingredients can wreak havoc in your overall health.